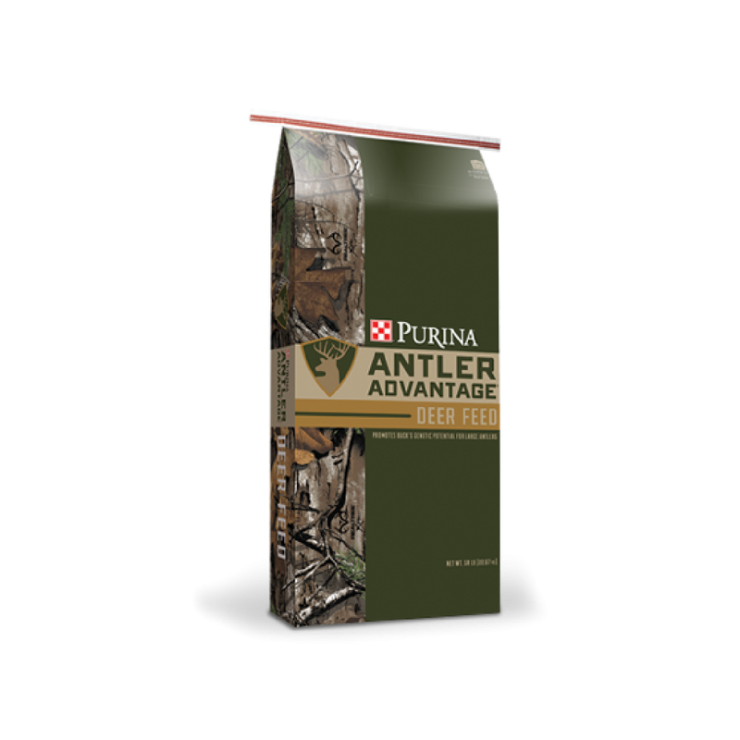 Purina Antler Advantage Wildlife 16 is a palatable 20% protein pellet designed to supplement the diets of multiple species of free ranging wild herbivores in native habitat. 1. A feeding program is only as effective as the management practices. Actual results can vary depending upon feed intake, environmental conditions and the quality of the management practices 2. Provide water and Purina® AntlerMax® Deer Mineral at all times. 3. For best results space feeding stations uniformly throughout the property. 4. Number of feeding stations required depends on population density but in most cases one feeder per 25 – 30 deer is sufficient. 5. If deer density is not known, start with one feeding station per 100-200 acres and monitor feed consumption to determine if more feeding stations are needed. 6. Consult your veterinarian for a recommended herd health and parasite control programs.